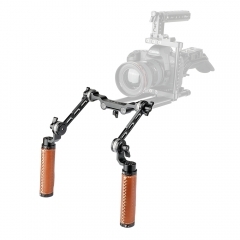 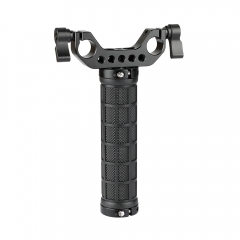 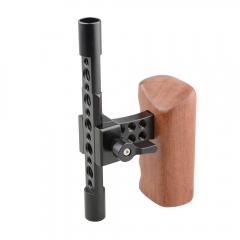 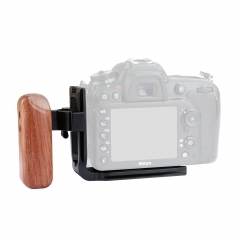 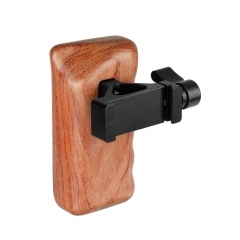 • Without the NATO clamp, this L type rubber handle can be directly attached to the top of a camera (such as RED) or a camera cage via screws, it’s great for stabilizing the camera for handheld shooting. 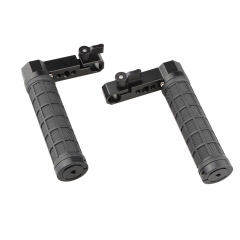 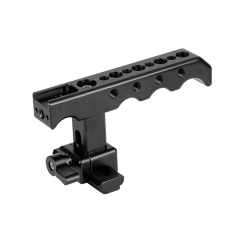 • The NATO clamp can be attached to the NATO-compatible rail at the end of the handle, there are 1/4"-20 threaded holes on the clamp that leaves access to mount a monitor, LED light or microphone etc. 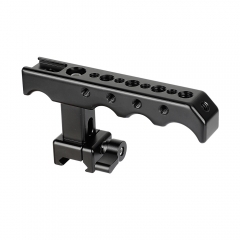 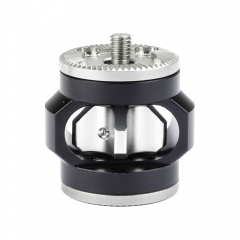 • Apart from the mounting options mentioned above, there is a shoe mount and array of other 1/4"-20 & 3/8"-16 threaded holes on the handle for external accessories.